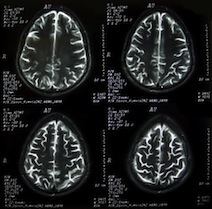 Types of Brain Injuries | Nashville Accident Lawyers The Law Offices of John Day, P.C. Concussions: A concussion is a brain injury caused by a sudden blow to the head or by acceleration forces without a direct impact. This is the most common form of brain injury and is commonly seen in auto accidents, trucking accidents, sports injuries, motorcycle accidents, bus accidents, etc. Contusions: This is quite simply a bruise to the brain's tissue. Brain contusions are usually more serious than a concussion. Diffuse Axonal Injury: This is one of the most devastating brain injuries as it frequently results in a persistent vegetative state for the victim. It is typically caused by acceleration/deceleration forces or rotational forces. Anoxic or Hypoxic Brain Injury: This injury is caused when the brain is deprived of oxygen. This can occur as a result of a near drowning, a birth injury or due to medical malpractice. Coup-contrecoup injury: A coup injury is one underneath the site of an impact injury. The countercoup injury is seen on the opposite side of the impact and occurs from the brain striking the inside of the skull. Amygdala: This structure is involved in important brain functions such as learning, memory and emotion. Cerebellum: This part of the brain controls movement. Cingulate gyrus: This structure of the brain contributes to processing conscious emotional experience. Fornix: This section of the brain connects the hippocampus to other parts of the brain. Frontal lobe: This lobe controls skilled muscle movements, setting goals and judging priorities, mood and planning. Hippocampus: This section of the brain plays a substantial role in the formation of long-term memories. Medulla oblongata: This structure controls heart rate, respiration, swallowing and blood pressure. Limbic system: This is a group of structures which govern emotions, memory and learning. Occipital lobe: This lobe helps process visual information. Parahippocampal gyrus: This is a critical pathway for the limbic system of the brain. Parietal lobe: This lobe receives and processes information about taste, touch, temperature, and movements from the rest of the body. This is also the area of the brain in which reading and arithmetic are processed. Pons: This structure controls vital processes including respiration and cardiovascular function. It is also plays a role in eye and balance coordination. Temporal lobe: This lobe processes such functions as hearing, language and memory. Thalamus: This is a relay station between the senses and the brain's cortex. At the Law Offices of John Day, our brain injury attorneys have seen an array of serious brain injuries. Regardless of the type, the result has been the same: a devastating effect on the victim and the victim's family. If you or a loved one has been the victim of a serious brain injury, contact one of our brain injury attorneys today. We will provide you with a free, no-obligation consultation in which we explain your rights and how we may be able to help you and your family. From wherever you are in Tennessee, contact us online or call us anytime of day at 615-742-4880 or toll-free at 866.812.8787.